The CMS is asking the public for advice on how it could make it easier for health insurers to sell coverage across state lines. The agency issued a request for information on Wednesday for recommendations on eliminating barriers and enhancing insurers’ ability to sell individual insurance coverage from state-to-state. The request, which the CMS said is meant to promote competition and choice for consumers, follows President Donald Trump’s October 2017 executive order on the issue. In particular, the CMS said it is interested in feedback about how states could use Section 1333 of the Affordable Care Act, which allows insurers to enter into a “healthcare choice compact” to sell out-of-state coverage if state regulators agree. In its request for information, the CMS explains that states are the primary regulators of their insurance markets and are able to facilitate the sale of insurance by out-of-state companies through legislation, but few have taken advantage of this. The agency wants to know why, and how it could help get the ball rolling. 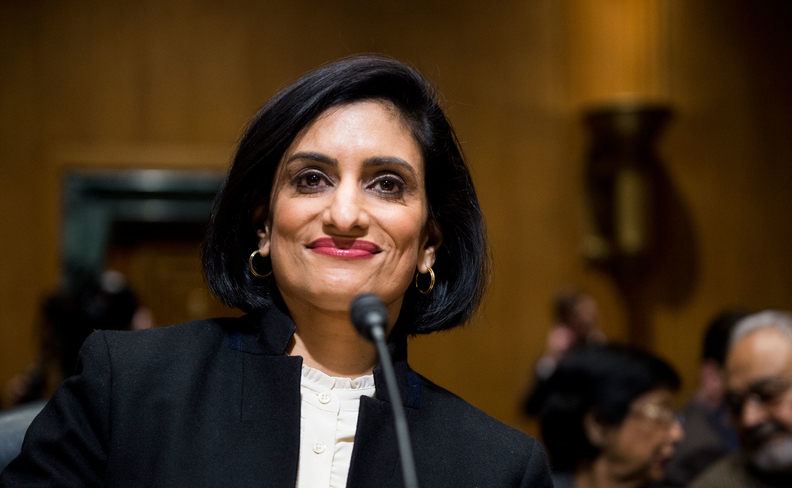 Section 1333 would allow the government to establish a regulatory framework to enable two or more states to enter into a compact in which a health insurer could offer one or more qualified health plans in any of those states, it said. The health plan would be subject to the laws and regulations in the state where it is written, while subject to market conduct, network adequacy and consumer protection rules in the state where the policyholder resides, according to the request for information. States still must pass legislation to allow such compacts. But the agency also asks if there are other mechanisms beyond Section 1333 that would help insurers sell across state lines. It also wants information on how out-of-state sales would affect premiums and people. It will accept comments for 60 days. Trump often touted the idea of selling insurance across state lines as his main ACA fix while on the campaign trail. But health policy experts argue that allowing insurers to do so would lead them to set up shop in states with the fewest regulations and offer inexpensive plans with little coverage to healthy people, while less healthy people face higher premiums. Experts say it would do little to lower health insurance premiums. According to the American Academy of Actuaries, savings would be limited because premiums are driven by the local cost of care, regardless of where the care is purchased. It would also be difficult for out-of-state insurers to negotiate and establish provider networks in a new area. There are questions about which state would regulate the insurer. The National Association of Insurance Commissioners noted that sales across state lines would eliminate the ability of state regulators to help their residents.